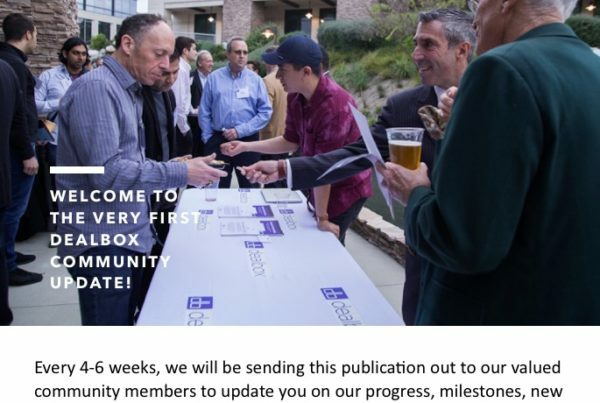 Welcome to the 2nd DealBox Community Update! This month’s update will be abbreviated in observance of the Holidays. The next community update will arrive in late January. From all of us at Deal Box, Merry Christmas from our families to yours, wishing you a warm and relaxing holiday season and prosperous New Year ahead! As of last week, Deal Box is in final discussions to secure a major round of funding from a private family investor group. Deal Box has been exploring a relationship with a major investor collective out of Asia-Pac that funded north of $1 Billion in security token, ICO and blockchain projects in 2018 alone. We are optimistic about the relationship and are targeting the funding of several specific issuers to kick-off the relationship. Stay tuned for more on this group. We have a meeting scheduled with a very special investment firm the second week of January that we are excited to share with our community. For now, it will remain highly confidential, updates to follow in Volume 3! We are thrilled to announce the first ever “Deal Box Innovation Finance Forum” event! It will be held in Newport Beach, California on Thursday, February 7th! The event will be hosted at a private water front home on historic Linda Isle. These will be quarterly events for all of 2019 that will give our issuer founders and sophisticated investor base the chance to connect and share their companies and investment criteria with each other in person! Think of these as an elegant, relaxed and informative meet up to discuss the future of industry and investing. Stay tuned for a formal invitation in the coming week or two, we look forward to seeing you there! Custody of Reg. D Security Tokens for institutional accounts through one of the biggest names in crypto. Partnering with a Crypto and Blockchain focused accounting firm on the East Coast that represents some of the largest AUM products in the secondary market. High level discussions with some of the world’s largest exchanges surrounding the industry’s timeline for second half of 2019 Security Token Exchanges for Reg A offerings, expect major news in Q2 2019 on this! with Colton Moffitt on December 5th discussing Deal Box and the future of early stage investing and entrepreneurial capital formation. We are looking forward to a major podcast in March with a prolific media channel and we will share with you when we are able to do so. Over the past few weeks, we have been working with an international digital media channel that will be optimizing all digital media, SEO, marketing and outside security token websites related to DLBX and our issuer’s STOs. We will keep you updated on this as the relationship progresses. Note: If you are one of our issuers, please ask us about this resource. 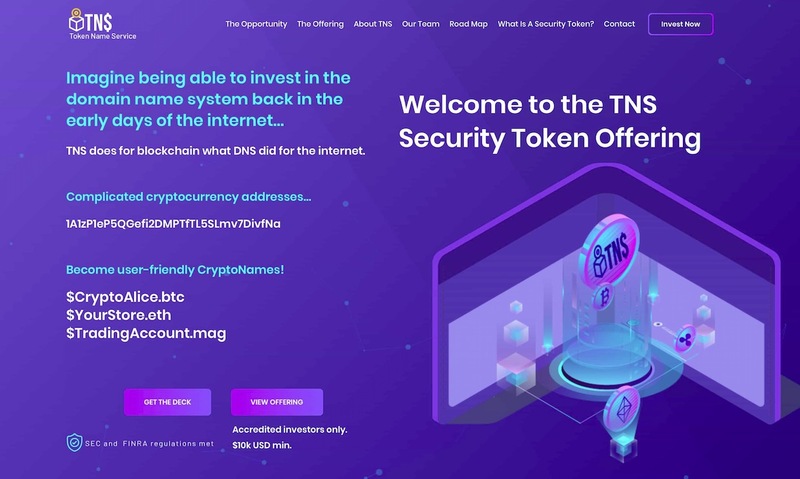 Please visit tnstoken.io to check it out or follow the business on LinkedIn. The TNS media announcements went out on Market Watch, CCN and Global Newswire late last week. We are in final discussions with 2-3 new issuers that fit the Deal Box client protocol and are excited to share them with our investors and current issuer client founders as the prospect of vertical integration between these new companies and our current client companies is enormous! Note: If you are an issuer client, please ask us about these companies in confidentiality. 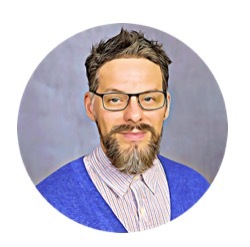 Charles Voltron has founded 3 successful tech ventures, is a blockchain technologist, coder and C-level technical leader with over 17 years of experience. Charles has been actively involved in the blockchain industry since 2015 as a developer and technical team leader. He has held the roles of CTO and technical advisor for several blockchain ventures with a focus on technical strategy, cryptoeconomics/game theory, and software architecture. Ryan has been in the capital markets industry for 25 years. Most recently, Ryan built an asset management company, Reality Shares/Blockforce Capital from the ground up from $0 to $300mm in AUM as the co’s first employee and principal. 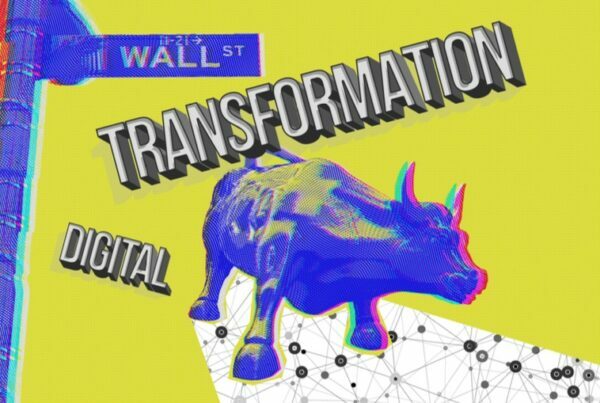 He designed, developed, created and contributed to the launch of a family of five Exchange Traded Funds and a dozen indexes including the creation of the first publicly available Blockchain focused ETFs. Ryan was directly responsible for the marketing and adoption of new to market ETFs to the wealth management community while managing a sales team of 5 national reps. Additionally, Ryan was responsible for the sales, distribution and investor relations to Blockforce Capital’s private fund division which focuses on investment opportunities in the nascent cryptocurrency and blockchain asset class. Mr. Ballantyne has opened and managed three different trading desks during his career and has extensive management experience as both a manager and top producer. 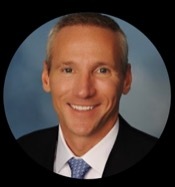 At DLBX, Ryan will continue to deliver additional investment opportunities to the institutional and high net worth community while working closely with other members of the executive team to list exciting opportunities on the platform. We couldn’t have gotten to this point in our business without the immense help of our family, friends and network. That being said, we could use your help! 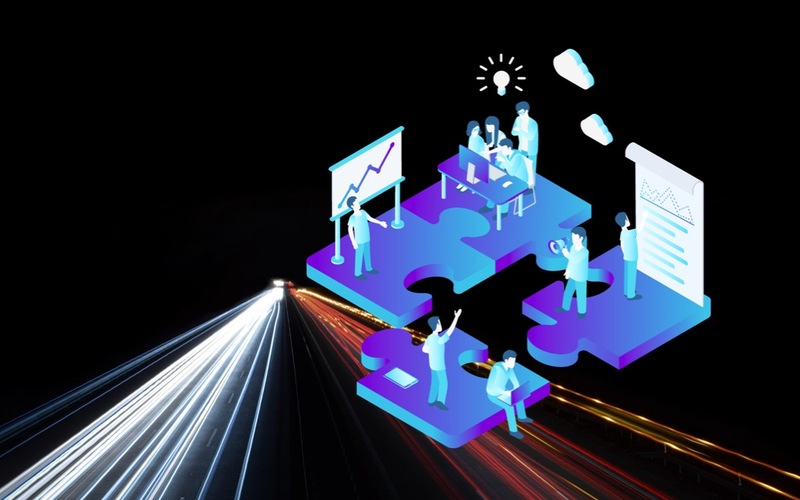 Currently, our number one priority is funding and the closing of both the presale and public sale so if you would like to connect us with investors you think our offering would be a good fit for, it would be appreciated and help accelerate our initiatives. We love helping other entrepreneurs with the difficulties and pitfalls of starting businesses and raising capital, if you know a company that could benefit from our expertise, let us know! We would be happy to do our best to assist them. We are constantly growing our relationships in the blockchain, FinTech, Capital Markets and Technology industries. Know someone or a business that you think could integrate into DealBox? Excellent, we are open to hearing your ideas as we value our community’s input immensely! 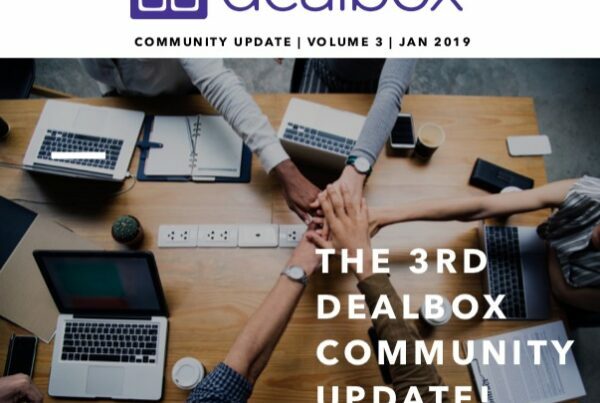 That’s it for the 2nd edition of the DealBox Community Update! Thanks for reading and we look forward to hearing from you before the next edition comes out. Unless otherwise specified, all return figures shown above are for illustrative purposes only, and are not actually customer or model returns. Actual returns will vary greatly and depend on personal and market circumstances. Investments in DealBox Inc. are not FDIC insured, not bank guaranteed and may lose value. Investing in securities involves risks, and there is always the potential of losing money when you invest in securities. Before investing, consider your investment objectives, and DealBox Inc. charges and expenses. DealBox Inc. services are not intended to provide comprehensive tax advice or financial planning, with respect to every day aspects of a client’s financial situation, and do not incorporate specific investments that clients hold elsewhere. For more details please see our token purchase agreement, regulatory filings, and other disclosures. Past performances does not guarantee future results and the likelihood of investment outcomes are hypothetical in nature. Not an offer, solicitation of an offer, or advice to buy or sell securities in jurisdiction where DealBox Inc. is not registered. The information provided by DealBox Inc. is educational only and is not investment or tax advice.